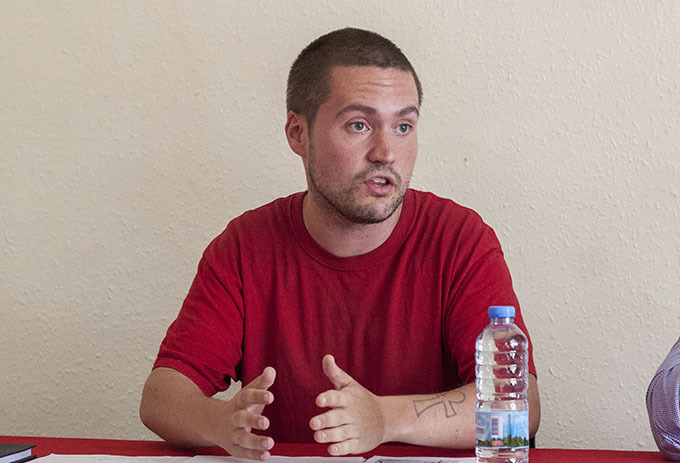 The Communist Party in Birmingham hosted US musician and journalist Marcel Cartier today at a well attended meeting. 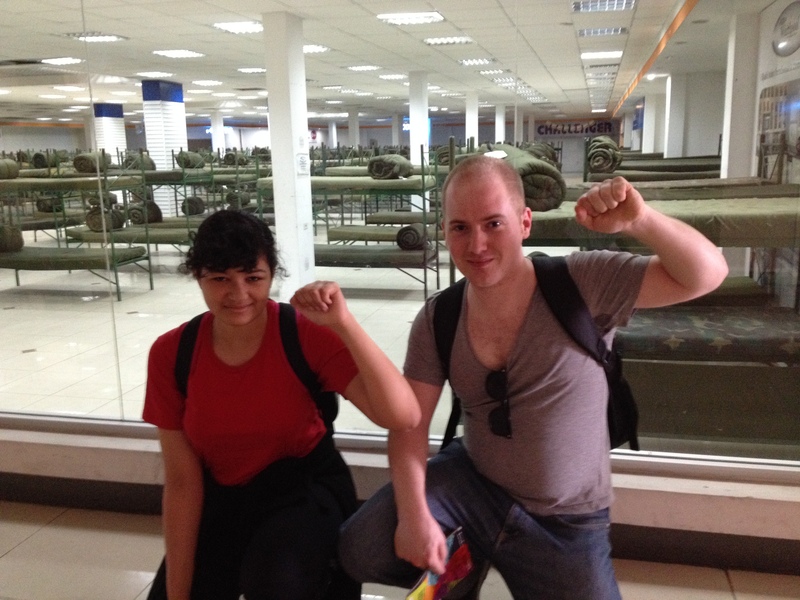 Birmingham CPGB-ML and Red Youth were extremely happy to receive Marcel who only returned from a trip to Cuba this weekend. Addressing comrades and friends Marcel spoke about the very contrasting experiences he has had this year, witnessing the horror of imperialism at work in the Ukraine – with the emergence of the fascist Kiev coup-government and conversely the inspirational visits he’s made to the DPR Korea and socialist Cuba where he has been able to see the achievements of those peoples who have so bravely stood up to imperialist aggression since the 1950s. In the presentation and again in the discussion which followed, comrades affirmed that they will not fall in with the anti-Russian/anti-China propaganda which aims to tie the movement here to the war chariot of imperialism; we reject the characteriasation of Russia and China by some on the left as dangerous imperialist powers and we point our fingers squarely at the war mongers and finance capitalists of the US and Britain in particular. – the storming of the Moncada Barracks in Cuba. This year we will also be marking the 10th anniversary of our party’s founding! An excellent event for bringing friends and family and friends to enjoy a mix of inspiring speeches and informal socialising with like-minded comrades. Alongside representatives from fraternal embassies, come and hear journalist Marcel Cartier report back from his recent trips to Ukraine and the Democratic People’s Republic of Korea. 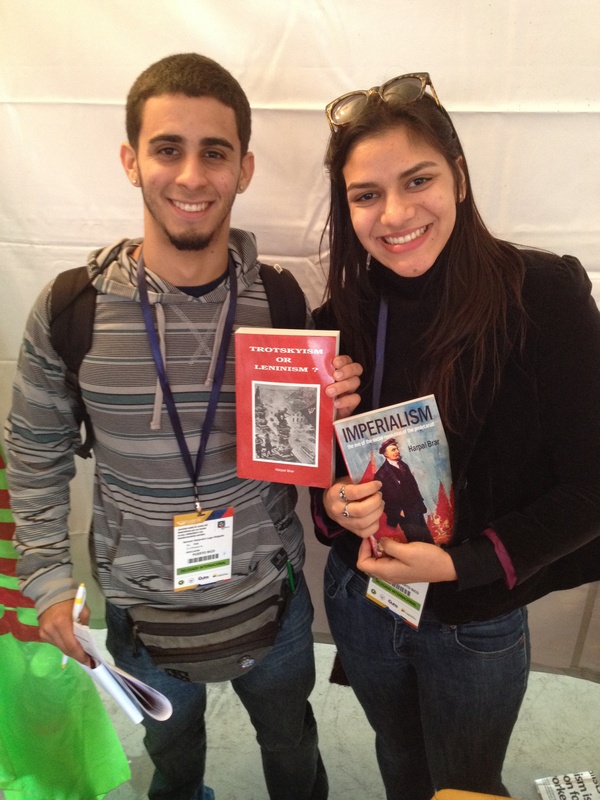 The following short video is from the National Union of Syrian Students and was distributed by them at the World Festival of Youth and Students, held in Quito, Ecuador, December 2013. The National Union of Syrian Students is an anti-imperialist youth organisation inside Syria struggling alongside the forces opposed to western backed intervention and terrorism. The video details the carnage being caused by booby trapped vehicles and car bombs – methods used by terrorists inside Syria who have no social base or local support. The only support such mercenaries receive is from the imperialists and their Trotskyite chums in the anti-war movement. The film shows scenes with which we are all familiar, hospitalised victims and terrifying bombings. The difference for those of us in “the west” is that when our televisions screens show these horrendous injuries they do so from the make shift tents of the occupiers, set up by imperialism and its lackey’s to treat the invaders and terrorists. This footage shows the terrible carnage being wreaked by the running dogs of imperialism, the vile scum trained in Saudi Arabia by Queen Lizzies royal pals to behead, slaughter and eat human flesh. These rats are being put to the sword by the brave Syrian people and their anti-imperialist government, led by President Assad and the Ba’ath Party and supported by the patriot forces. Red Youth comrades look back fondly to sleeping on the floor at Sak Hall! 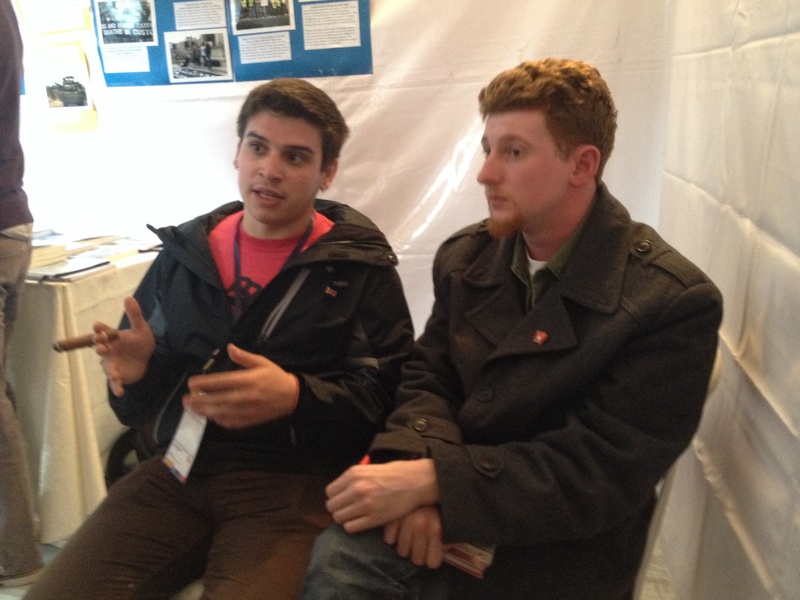 The head of the Syrian delegation Dr Saleh Al Rashed (President of the Syrian Revolutionary Youth Union) speaks at the world festival of youth and students to the British delegation. Despite the brutal and bloody campaign which has been unleashed against the Syrian people by imperialism the Syrians understand and continue to draw the distinction between the mass of ordinary British workers and the thoroughly corrupt and wicked parasite class that rules on behalf of finance capital. Since the very first days of this conflict the CPGB-ML were the only organisation in Britain to stand squarely behind the Ba’ath Party, the National Patriotic Front and the Syrian Communist Party (Bagdash), as well as all the other progressive and anti-imperialist organisations united in Syria against the imperialist inspired war of intervention. As Dr Al Rashed confirms, the Syrian people, much to the dismay of the revisionist and Trotskyite pigs who tie our anti-war movement to imperialism, have only strengthened their resolve and friendship during these hard years of life-and-death struggle, despite all personal hardship and loss. As Mao Zedong said long ago, “the imperialists pick up a rock only to drop it upon their own feet”! The imperialists they have funded and equipped cannibals, maniacs and fundamentalists who’s sole mission inside Syria has been carnage, mayhem and destruction. 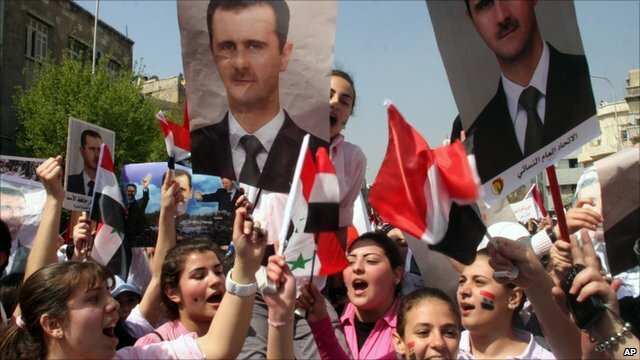 Yet despite all their crimes, including the stomach-churning and cynical ‘propaganda stunt’ of gassing kidnapped children in attempt to stir up direct US military intervention, have only succeeded in bringing the Syrian people together in resistnace, forging an un-breakable bond between the radical and patriotic forces inside Syria. 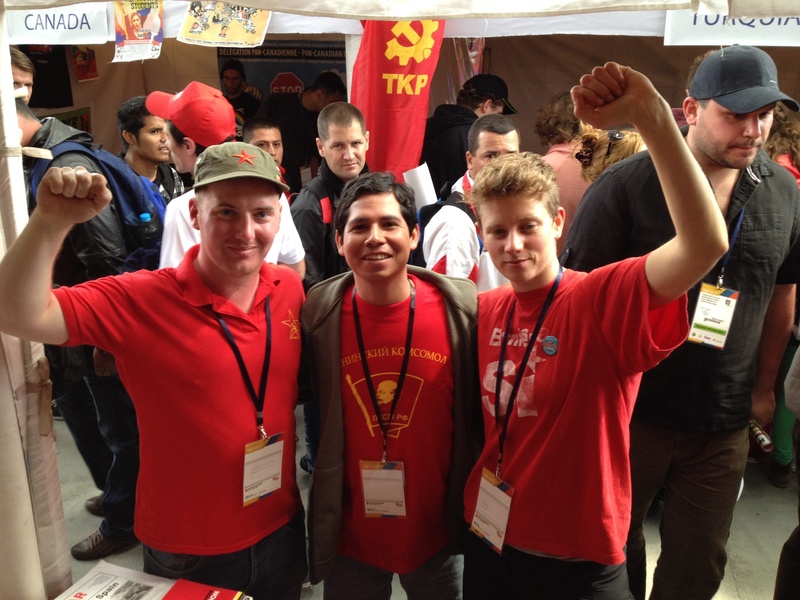 Comrades from Red Youth and RCG, who make up the socialist contingent on the British delegation to Quito, distribute tonnes of literature and speak to hundreds of revolutionaries from across the world. Hundreds of progressive youth came to speak with the British delegation all through “Europe day” at this years WFDY Festival. 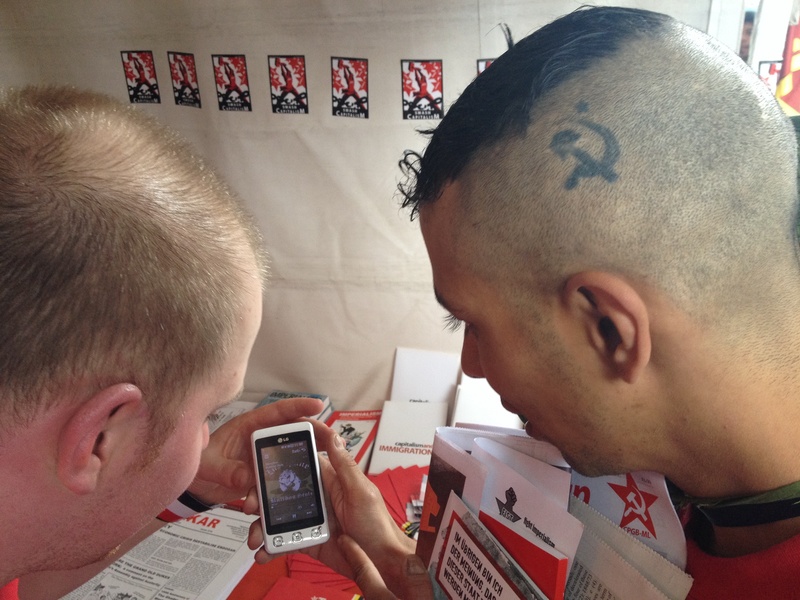 Comrades from the RCG distributed copies of their newspaper Fight Racism, Fight Imperialism and conducted interviews with foreign delegations, and also kindly assisted Red Youth with translation from Spanish. 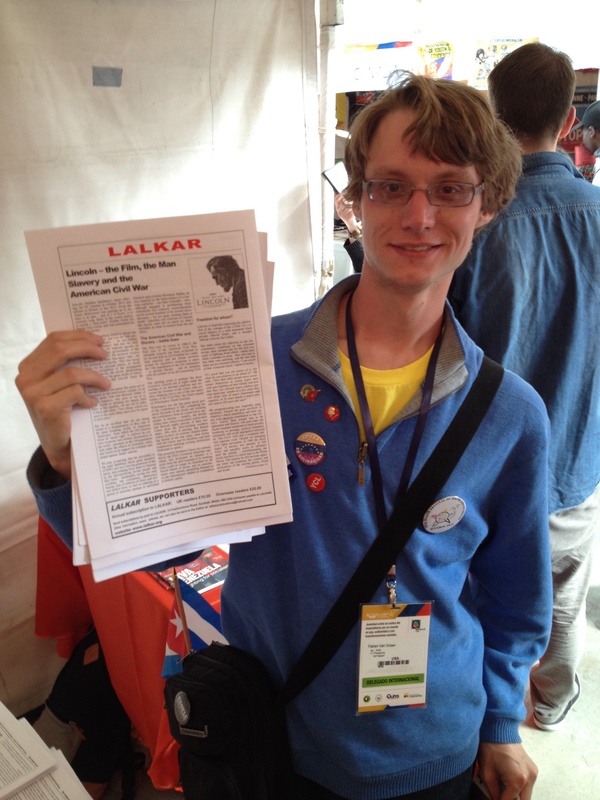 Many copies of Lalkar and Proletarian were sold and given away to comrades new and old. Friends from the Syrian Baath Party were delighted to catch up with CPGB-ML central committee members Ranjeet Brar and Paul Cannon and to meet Dan and Angela for the first time. Our support for the brave resistance of the Syrian people to the bloody war waged by imperialism has strengthened our friendship with both the Baath Party and the Syrian Communist Party (Bagdash) who also met privately with our delegation. As the degenerates and warmongers, trotskyites and revisionists, conspire to keep brave peace-loving people like Mother Agnes from the anti-war platform, it is increasingly clear that only the Marxist-Leninists can provide clear anti-war political leadership. Only communists clearly come out in defence of the weak against the attacks of the strong; the trotskyists always end up assisting their imperialist puppet masters, and the spineless revisionists long ago abandoned the struggle in favour of the easy life. 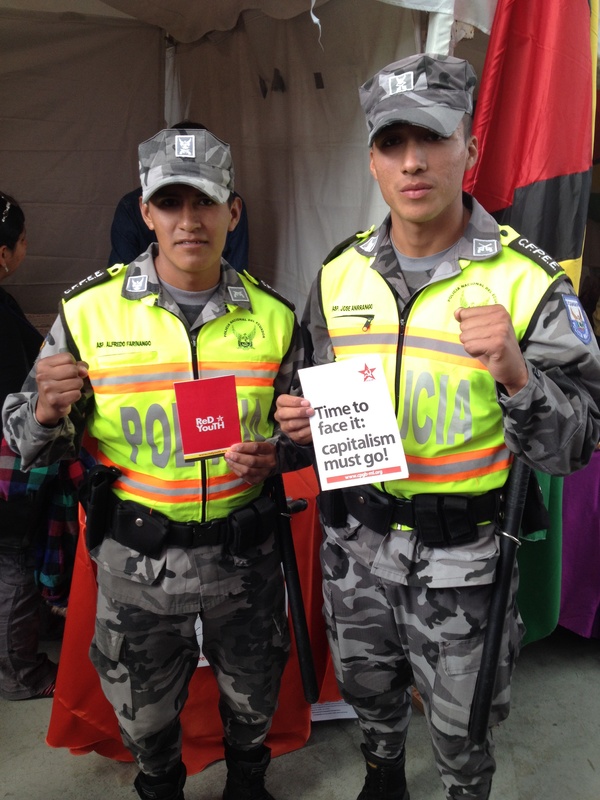 Even the Ecuadorean police seem to be on our side! The most cursory glance at the contemporary international situation shows that imperialism’s inherent tendency to wage wars of aggression has not in any way disappeared. If anything it has become enhanced, notably after the collapse of the Soviet Union and the socialist countries of central and eastern Europe, since when we have seen numerous wars of colonial reconquest, such as those against Iraq, Yugoslavia, Afghanistan and, most recently, Libya and Syria. Moreover, faced with what is emerging as the gravest economic crisis in the history of capitalism, the pace and intensity of imperialism’s inexorable drive to war is increasing yet further. 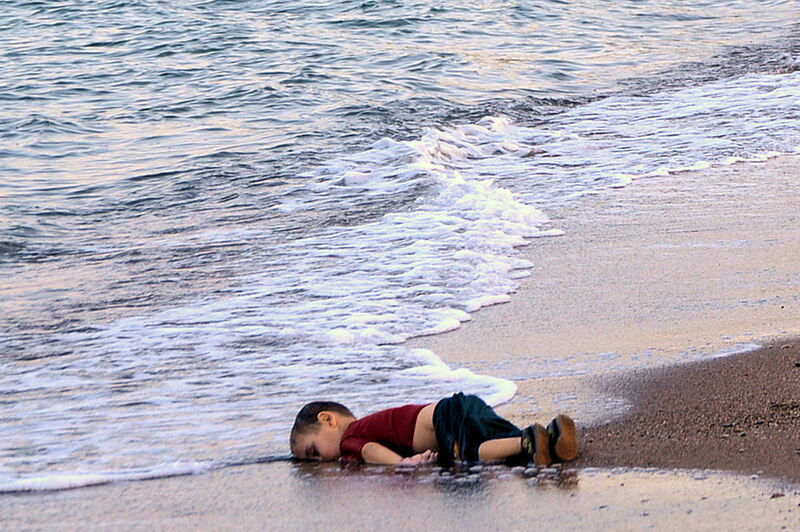 The imperialist powers are presently at war in Iraq, Afghanistan and Libya. They are also waging unofficial and proxy wars in Somalia, Pakistan, Yemen and other countries. They are abetting and bankrolling the Israeli zionists’ war against the Palestinian people. 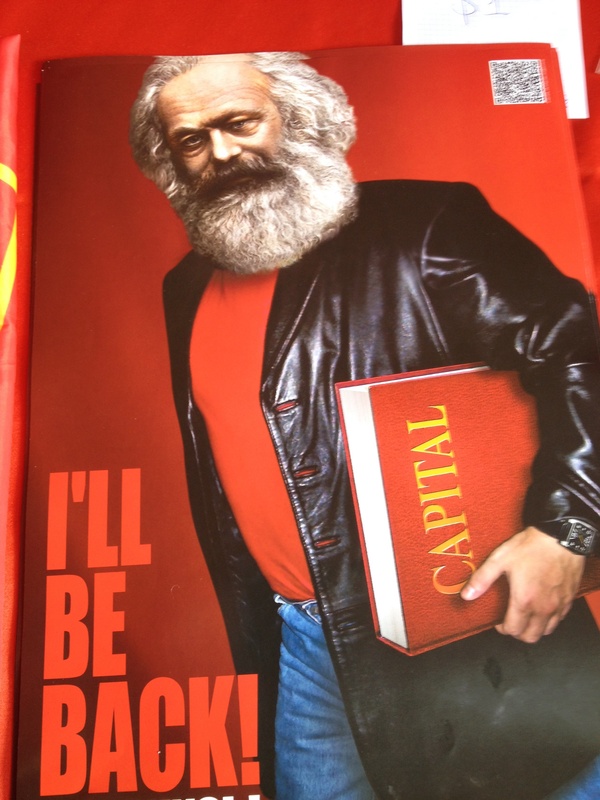 Marxism Leninism is not a dogma but a guide to action. Marx, Engels, Lenin, Stalin and Mao, the great revolutionary teachers, laid out with complete clarity the attitude of the revolutionary proletariat to the struggle against imperialism and towards the national movements of the oppressed. With imperialism convulsed with crisis and hurtling towards new and ever more dangerous wars of aggression, the work of reuniting and reinvigorating the entire international communist movement on this principled and revolutionary basis is one which will brook no further delay. It is in this spirit that many many comrades and friends purchased copies of not only our newspapers, but also our books, notably Harpal Brar and Ella Rule’s latest book Imperialism and the worst-ever crisis of overproduction. 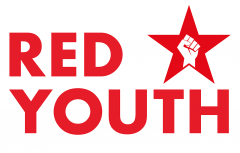 Red Youth’s slogan “Each one, teach one!” has never been more relevant. 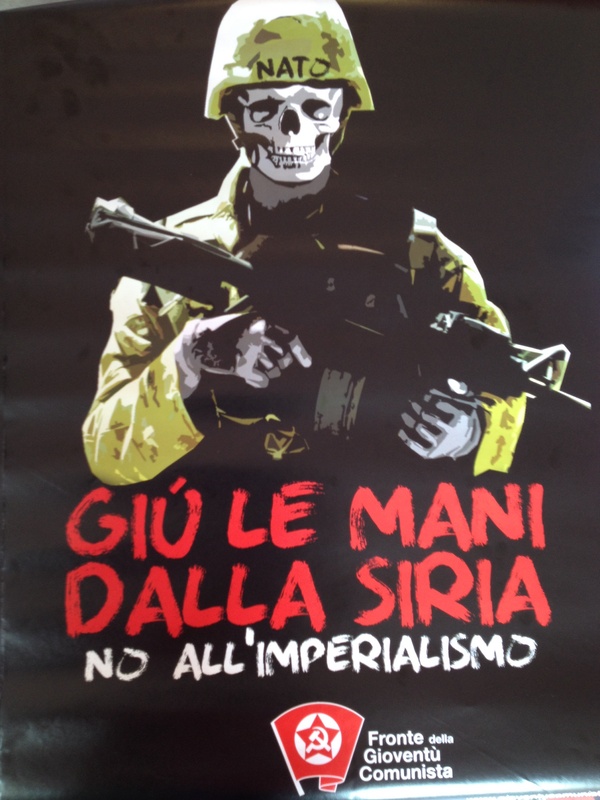 Italian Marxist Leninist poster: NATO Hands off Syria! 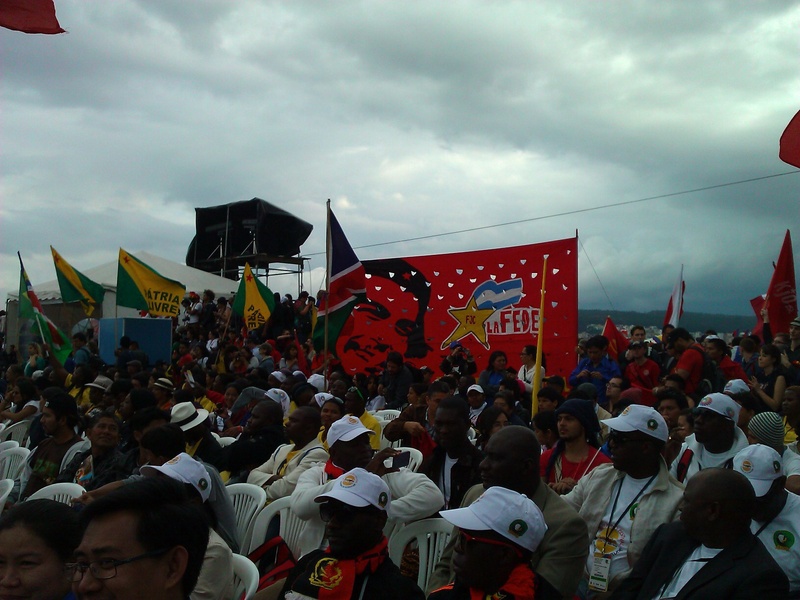 No to Imperialism!